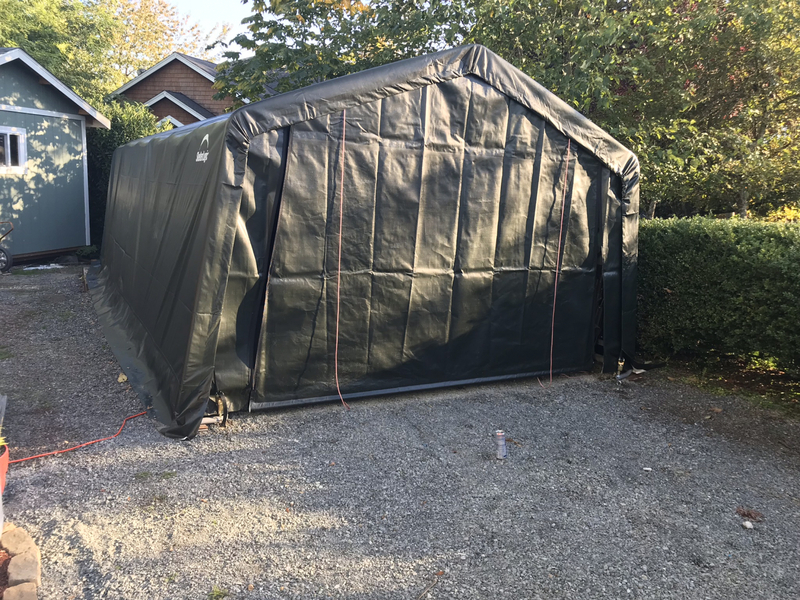 This portable garage sets up quickly and does not usually require a building permit. It is constructed with sturdy 1-5/8" diameter 17-gauge steel tubing that withstands difficult weather conditions. The 7-rib frame has a powder-coated finish that will eliminate rust, weather, chipping or peeling. The frame goes together easily because of slip fit connectors and swedged tubing. 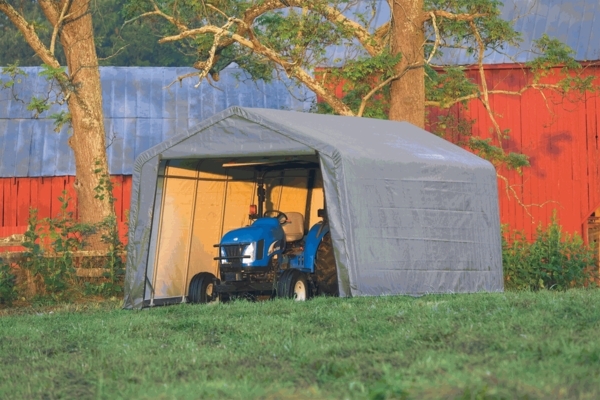 The wide based foot pads create a sturdy base and good securing points for the canopy. The structure uses Twist-Tite(tm) and Easy-Slide Cross Rail(tm) systems to attach the canopy and create tension that squares up and locks down the structure. The rip-stop cover is made from heat-bonded triple bonded polyethylene that is 100% waterproof and UV treated inside and out to resist fading, aging, and fungus. The white interior surface enhances natural illumination. The door height is 6'8" and the opening is covered with zippered door panels. 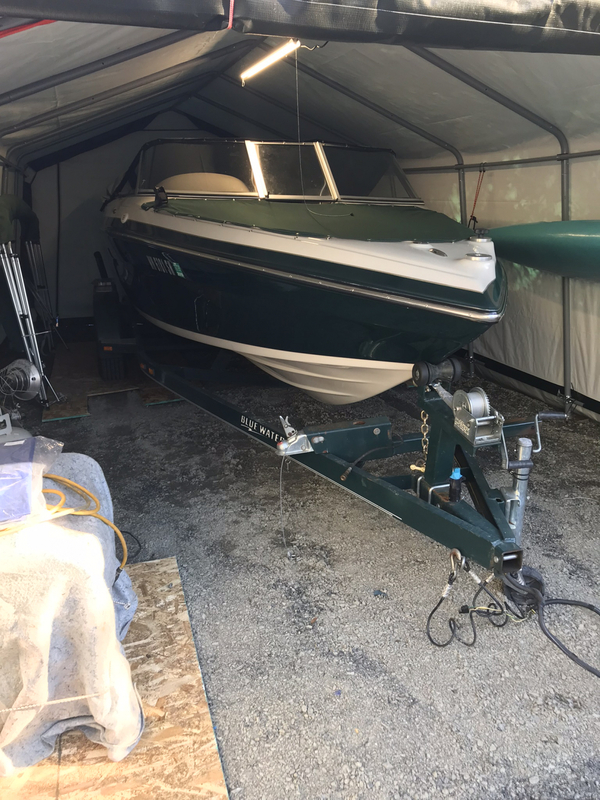 Six 30" anchors are included. 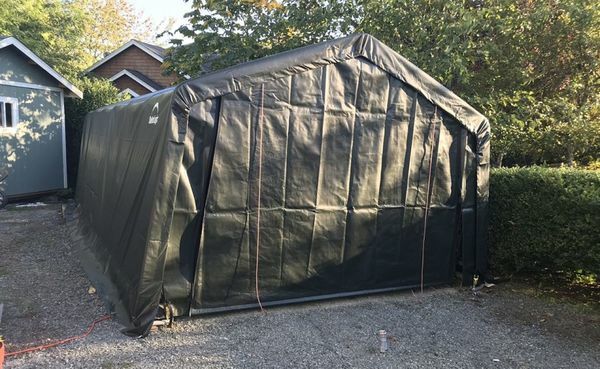 Do you sell the canvas top for this canopy? To get just that part, you will need to contact ShelterLogic directly. Can I buy this in a heavier fabric? ShelterLogic only carries one style of material for their tops. It's the heat bonded, triple layer, polyethylene cover with enhanced weave to ensure its 100% waterproof. Can you purchase replacement covers for this canopy? 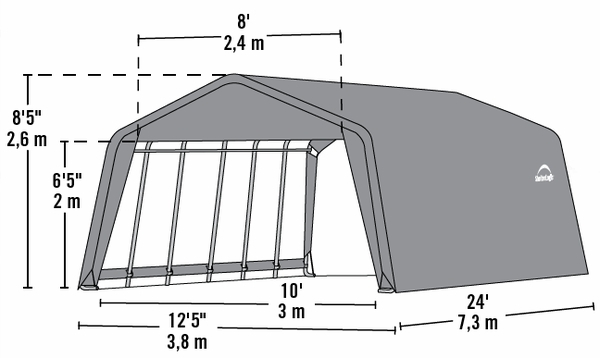 Replacements are available by contacting ShelterLogic directly at 1-800-397-0192.